Shhhh.....this is the best kept secret in Fairbanks. 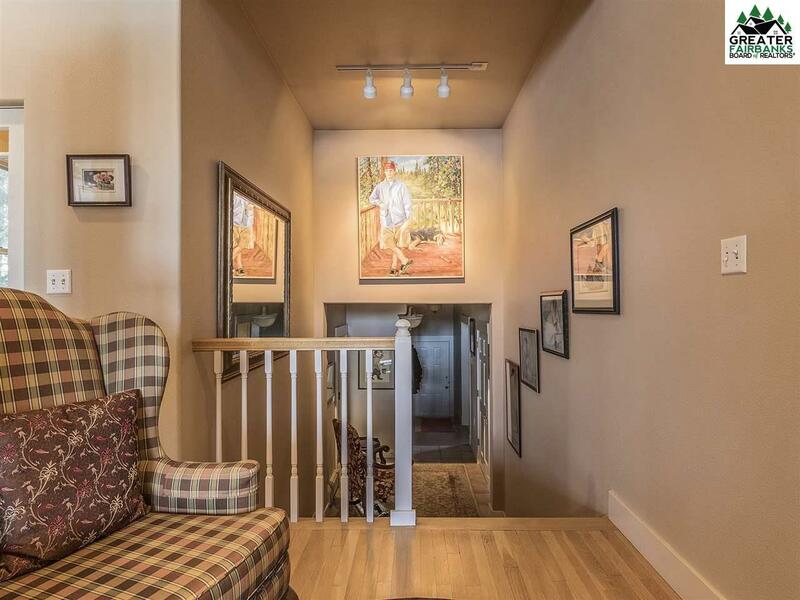 This custom built home offers 120 ft of riverfront. 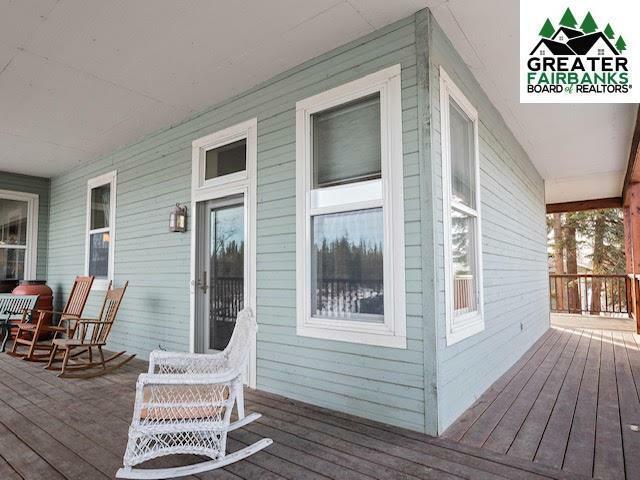 It is a hidden gem on the banks of the Chena River, in short walking distance to a lovely park and a perfect hide away retreat close to what Fairbanks has to offer. 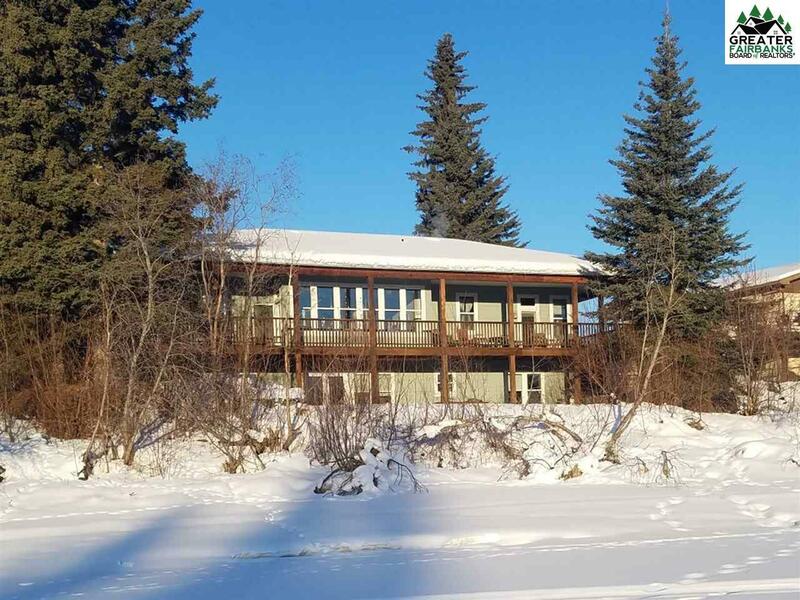 The home offers a secluded feel and a private 1200 sq ft private wrap around deck where you can see eagles, moose, fox, lynx, beaver, ducks and variety of birds. Additionally, there are three garden boxes and a privacy fence. 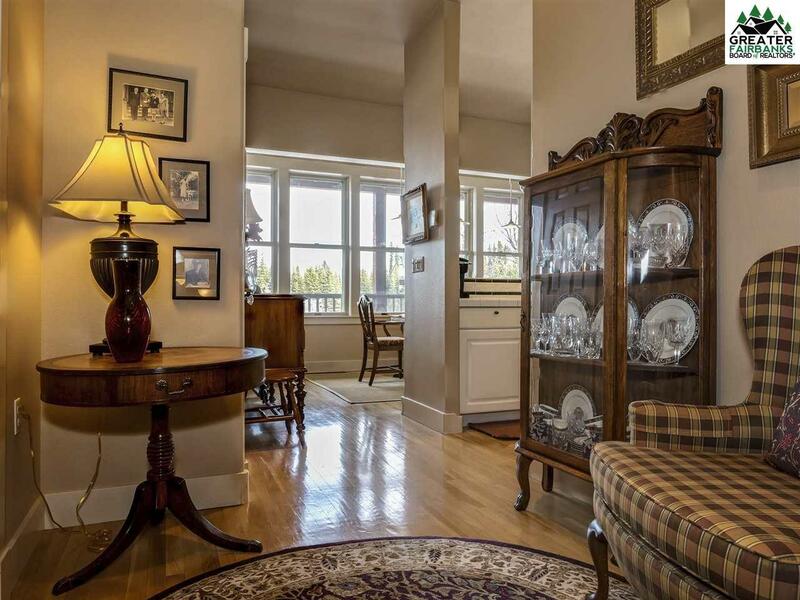 When you do not want seclusion, have dinner parties both inside and out with friends and family at a home once displayed as part of University Tour of Homes. Should you plan to entertain guests for days or weeks at a time, the home offers the flexibility and privacy to do so. A second kitchen downstairs offers the MIL or apartment or freedom for guests. The laundry room boasts its own California Closet. A new Buderus Furnace was installed in 2013 and extra attic insulation was installed to increase energy efficiency. If you need storage, there is plenty! The crawl space is off the laundry room with lots of additional storage and if that's not enough then gated storage is available on both sides of the home, and in extra storage closets down stairs. Make your appointment now to visit this Southern Alaskan River home today. Listing provided courtesy of Evelyn Arnott of Gold Standard Real Estate Services.